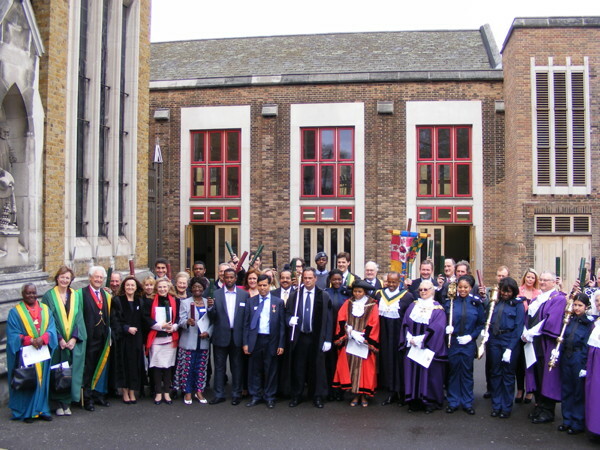 The Rotherhithe and Bermondsey Choral Society was awarded the Liberty of the Old Metropolitan Borough of Bermondsey at the Southwark Civic Awards held at St George’s Cathedral on Saturday. The award was collected by Sue Heath-Downey and Prem Goyal. Pearly King of Camberwell and Bermondsey Jimmy Jukes received the same honour. Bede House Association was presented with a lifetime achievement award. Barry Noon, a local architect who has been involved in both the Brunel Museum and the Canada Water Campaign, also received a lifetime achievement award.